Nestled in acres of perfectly landscaped grounds on the beautiful Isle of Anglesey sits Tre-Ysgawen Hall Country House Hotel & Spa, a Victorian 19th century mansion house. This decadent, wonderfully grand hotel is home to Noëlle's Restaurant, the Winner of 'Best Restaurant of the Year' at the Anglesey Tourism Awards 2013. Our members will be accommodated in a Twin Room or Double Room and will be welcomed with a bottle of prosecco and cream tea on arrival. Situated on the beautiful Isle of Anglesey in North Wales, you'll find the Tre-Ysgawen Hall Country House Hotel & Spa nestled in acres of perfectly landscaped grounds amidst charming, intimate woodland. It is at the centre of Anglesey near Llangefni, allowing for easy reach to the whole island with its unspoiled beaches and bays. The location offers stunning scenery, water sports facilities, clean, safe beaches and coveted 18-hole golf courses. 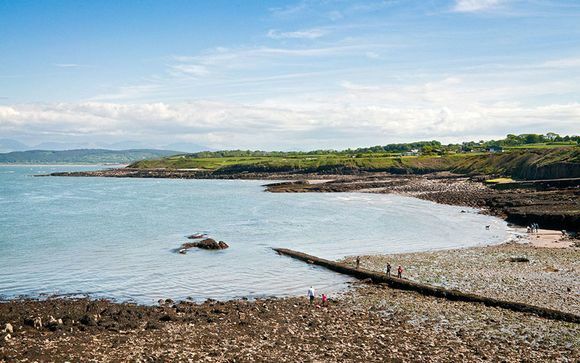 It really isn’t any wonder that over 220 square miles of Anglesey’s unspoilt coast and landscapes have been declared an Area of Outstanding Natural Beauty (AONB). Whether you want tranquil green space interspersed with a carpet of colourful flowers, or the unrivalled beauty of the towering cliffs, home to hundreds of nesting seabirds, Anglesey really does think of everyone! Wales' best-known and most visited slice of nature became the country's first national park in 1951. Every year more than 350,000 people walk, climb or take the train to the 1085m summit of Snowdon. Yet the park is more than just Snowdon – its 823 sq miles embraces stunning coastline, forests, valleys, rivers, bird-filled estuaries and Wales' biggest natural lake. 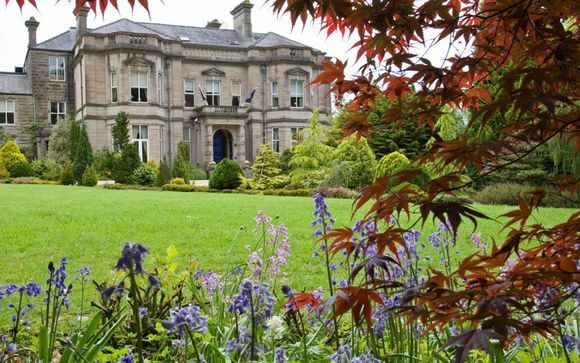 Splendid and grand, the Tre-Ysgawen Hall Country House Hotel was built in 1882 as a country mansion house and family home, and today is celebrated throughout Anglesey for its elegant rooms, charming grounds and fine dining. From sculpture gardens to ornate architecture and decadent chandeliers, the grandeur of this Victorian building is meticulously maintained. Theatrical stairs lead to rich gold accents and regal elements, and the spaces that transpire are to be admired. There is a spa which was once a Victorian stable, a fine dining restaurant and a café in an old clock tower. 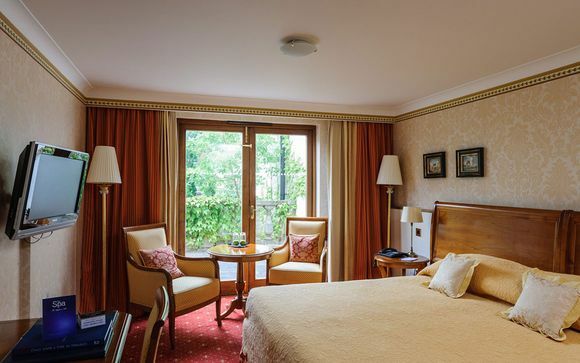 All rooms have great views of the courtyard, the front lawn or the Snowdonia Mountains, and are designed to ensure that your stay is as comfortable as possible. Your cosy double room has all the necessary amenities for a great stay, such as direct-dial telephone, TV, tea/coffee facilities, complimentary wi-fi, hairdryer, safe and en-suite bathroom. 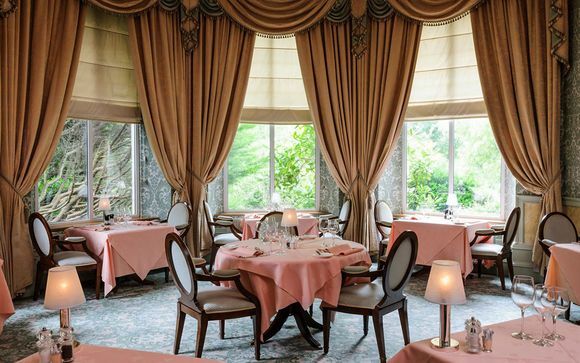 Winner of 'Best Restaurant of the Year' at the Anglesey Tourism Awards 2013, Noëlle's offers a decadent, 5-course gourmet experience in sophisticated surrounds – opulent, heavy drapery frame large panoramic windows with verdant views of the manicured gardens. From the contemporary British menu diners will discover a devotion to regional ingredients paired with world-class wines. Converted from a potting shed and partly located in the old clock tower, this Café has a rustic, laid-back ambiance due to warm lighting, high-beamed ceilings and cobblestone-style walls. The Clock Tower serves hot and cold dishes from a bistro-style menu, with lunchtime and evening specials boards. This is where our members will enjoy cream tea upon arrival. The brand new Il Giardino restaurant at Tre-Ysgawen Hall is the hotel's casual dining option. Expect the usual Italian suspects - from pasta and risotto to stone baked pizza. Converted from the Victorian stables and retaining many of the original features including the Clock Tower, Tre-Ysgawen Spa is built and equipped to the highest standards and is undoubtedly the finest in North Wales. Take a leisurely swim in the 16m level-deck swimming pool or relax in the steam room, sauna, whirlpool or gymnasium. Be pampered in the health and beauty Suite or simply enjoy relaxing beside the pool. The new thermal suite comprises an Experience Shower, Herbal Essences for the Sauna, an Ice Fountain and probably the most exciting of all – the Salt Inhalation Therapy Room. Replacing the spas steam room, the principles of salt inhalation are based upon the health benefits of a walk along the coast, breathing the ozone rich salty sea air. Exit the A55 North Wales Expressway at Junction 6 following the signs for Llangefni. Please note that the hotel is signposted with Brown Tourist Information signs after the roundabouts. On reaching Llangefni join the one-way system by turning to your left and immediately go into right hand lane and take the first right. Follow the one-way system noting the signs for Benllech B5110. Follow this road out of town for approximately 1/2 mile then fork left up the hill to take the (B5111) towards Llanerchymedd and Amlwch passing the Oriel Mon Gallery on your right. After approximately 3 miles, having passed through the village of Rhosmeirch turn right at the blue hotel sign. The hotel driveway is approximately 1.5 miles on your left. Enter through the wrought iron gates at the top of the driveway and drive around to the front of the hotel and main Reception. Spa Reception is on your left as you enter the gates.